The e-merchant can now increase customers cart value by showing related products to them. Prestashop Automatic Related Product Module is a feature-rich module which allows the online store admin to show related products on different product pages. In order to boost the up-sell and cross-sell, the store admin can show related products on the website pages. The Prestashop Automatic Related Product addon displays various similar/related products on homepage, product page, category page, cart page, manufacturer page and order confirmation page. This Prestashop advance related product module allows the admin to set the position to display the related products. Thee-merchant can apply different conditions for showing the related products on the web pages. Prestashop related products addon allows the online store admin to show various similar products on the different web pages allows the online store admin to show various similar products on the different web pages. By showing similar products to the customers, the admin can improve average cart value effortlessly. The PrestaShop alike product plugin allows the store admin to show new products as the related product and promote them with ease. The Prestashop related products plugin helps the admin to reduce the bounce rate by drawing the customer’s attention to similar products. displaying similar products encourage the store visitors to explore the website. The Prestashop product cross-selling module provides an option to show only the available products as similar products. The store admin can apply the appropriate method for displaying the similar products on different website pages. The featured-rich Prestashop advance related product extension helps the admin to show similar/related products on different pages of the eCommerce store. 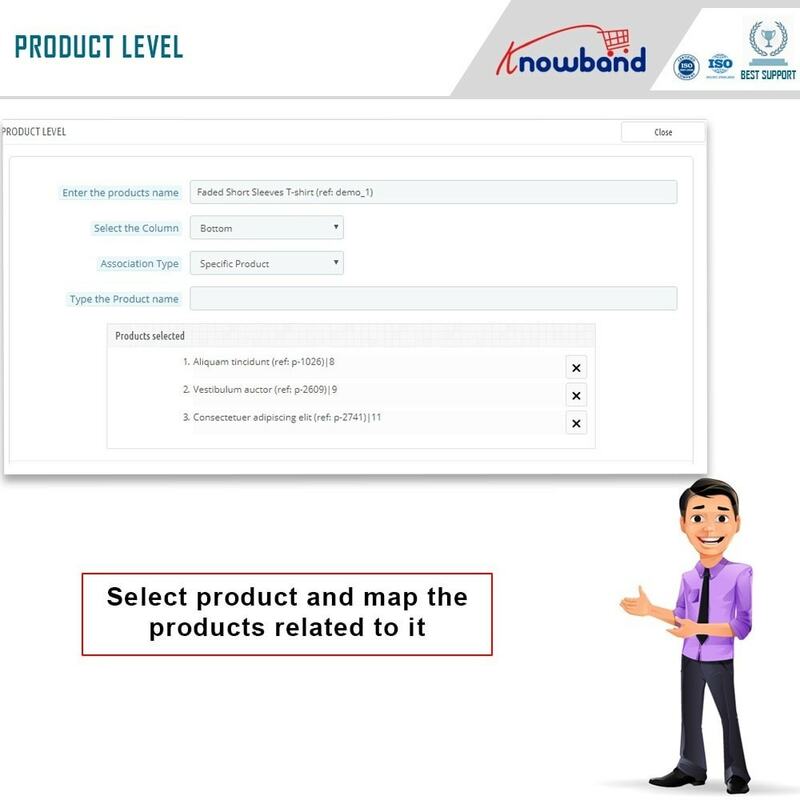 The admin can show related products on homepage, product pages, category pages, cart page, manufacturer pages and order confirmation page by applying specific conditions for each page. The Prestashop similar products addon allow the admin to exclude out-of-stock products if he wishes to. The plugin supports multi-lingual compatibility and the messages can be displayed in different languages. 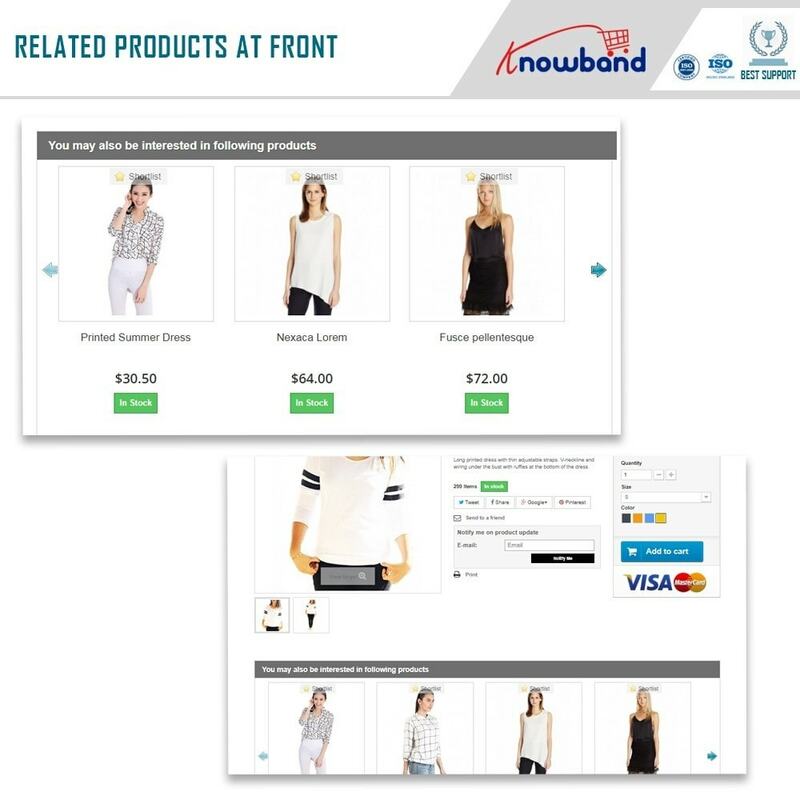 The Prestashop product cross-selling module offers flexibility to show related products on the left column, right column or page bottom as per the requirement. The Prestashop module allows the admin to set the method for showing the related products on various web pages. 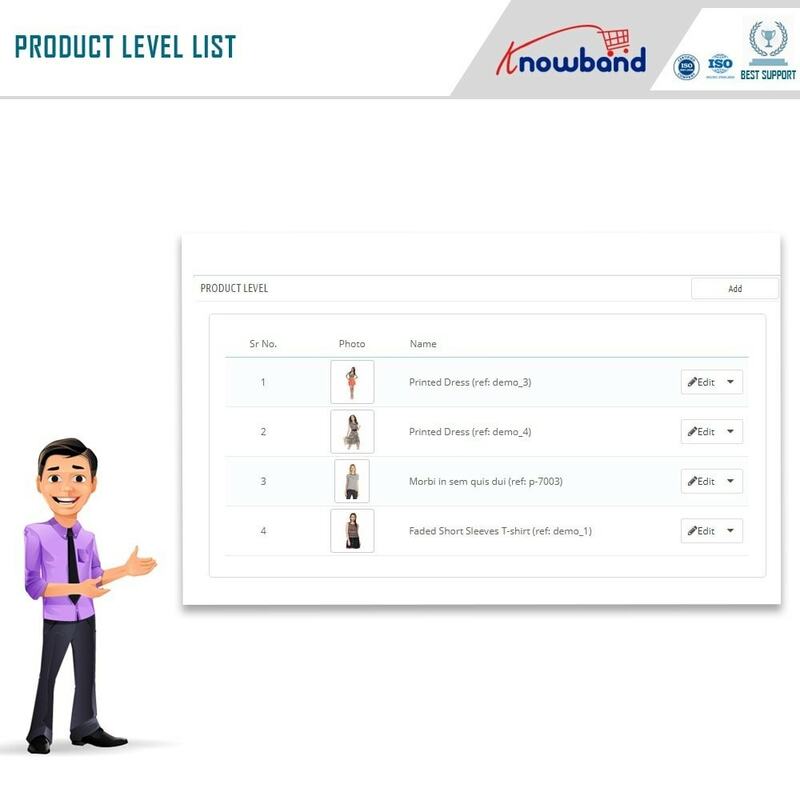 Top visited products, best sellers, new products or products according to user history can be displayed as similar products. With the help of this Prestashop advance related product extension, the online store admin can also set attribute and keyword filter for some pages. The online store admin can fix the maximum number of related products to be displayed. The online sellers can set the priority of the type of products that they want to show as related products. The Prestashop related products addon offers mobile responsive layout. 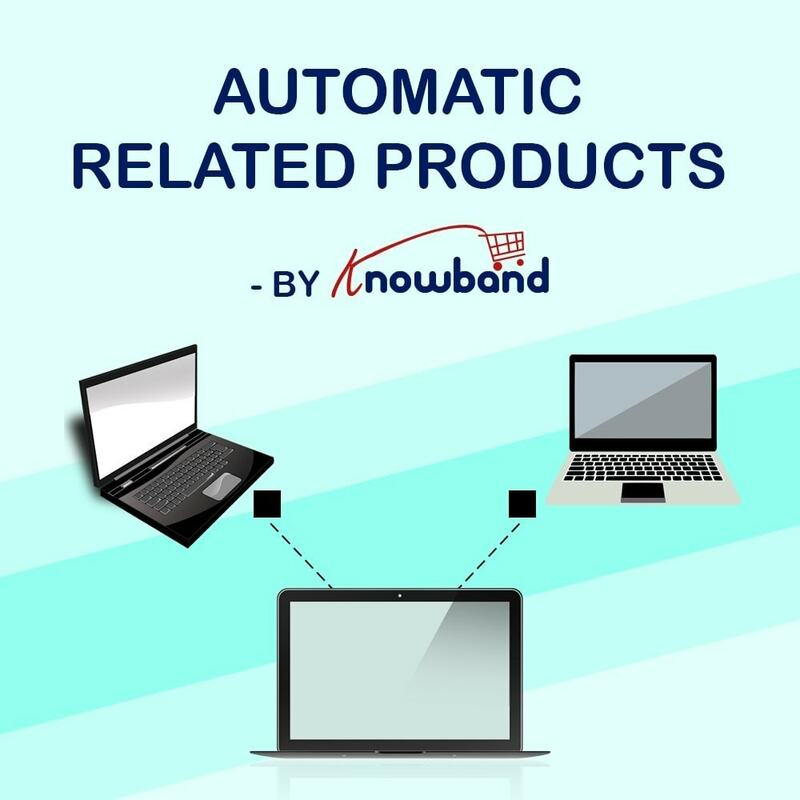 Related products extension is multi-store, multi-lingual compatible and SSL compatible. The customers can view various related products on different pages. 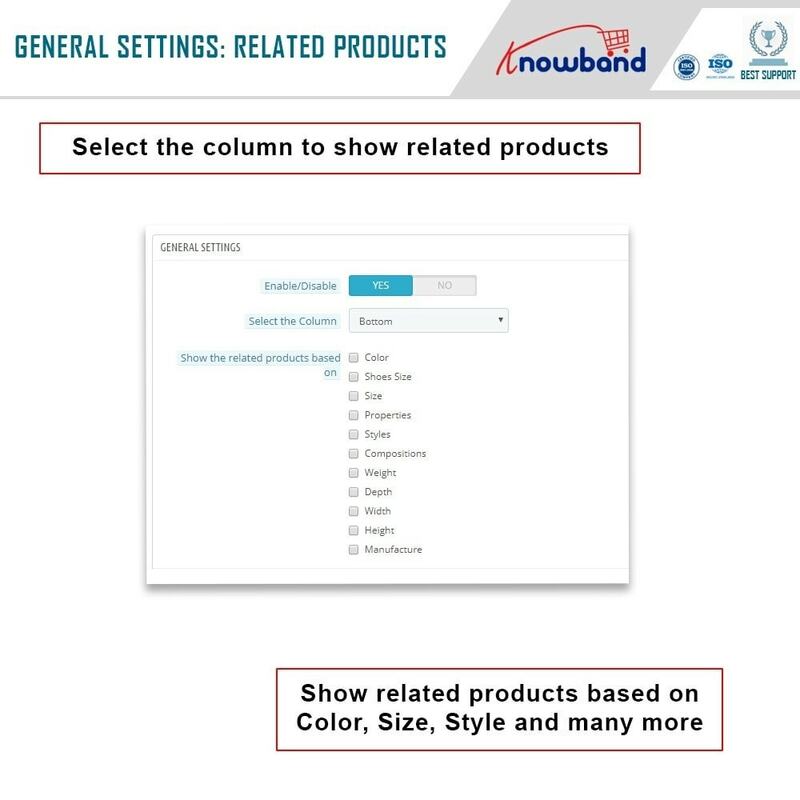 The customers can purchase the product of their choices and preference by viewing similar products on the same page. The customers can also view the similar products on their mobile devices because of modules mobile responsive interface. The Prestashop related products plugin is compatible with all browsers and offers a user-friendly interface.